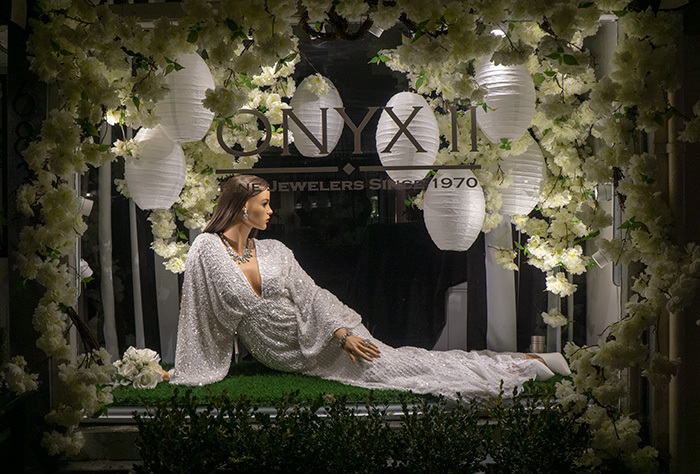 The hounds of spring are sure to follow. 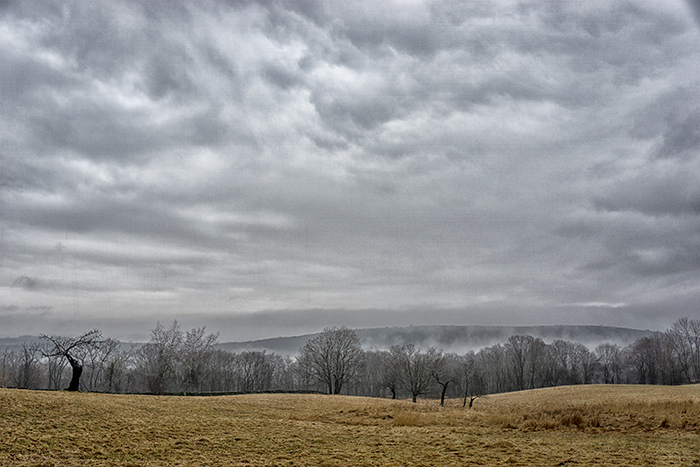 The mist clung to the hills in the morning rain. The rolling yellow of the barren field gave just enough color. That same morning Marc Isolda was out before me to capture his own perspective. Take a look. I am once again outdone. After the ice storm again. 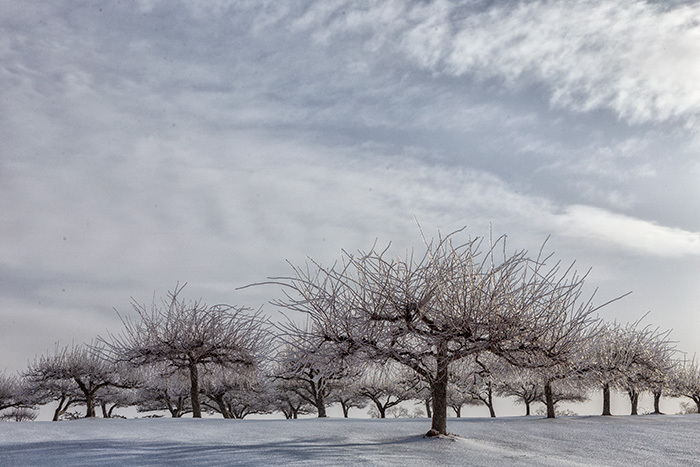 A close-up view of Nature’s delicate design … and a hilltop orchard gilded with ice. Out to photograph glittering trees and a sparkling landscape after the freezing rain, I found the sun didn’t always cooperate. 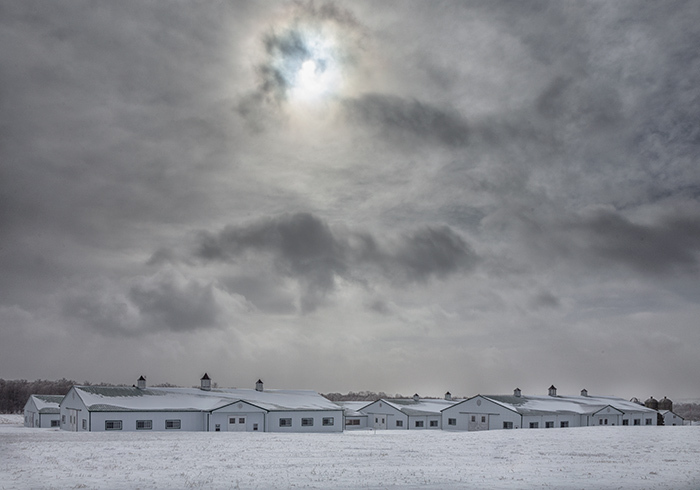 Despite the overcast, there were opportunities, however, to capture familiar scenes in yet another aspect. 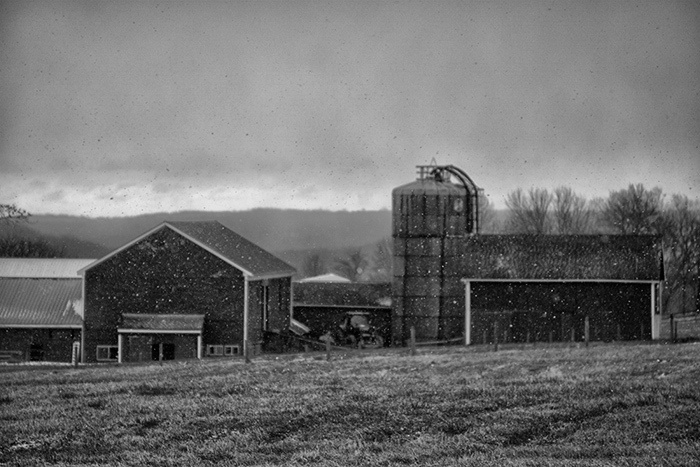 Here, Diebold Farm on the hilltop provided white barns to give me a white-on-white subject in this no-color, color photograph. 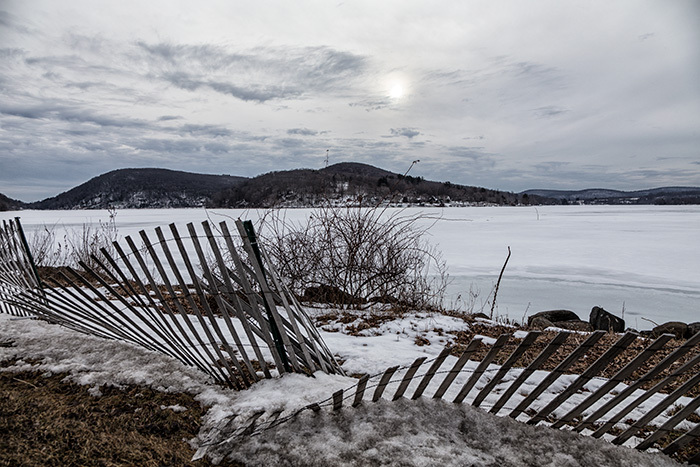 Cold Day at Lake Lillinonah, Bridgewater, Conn. 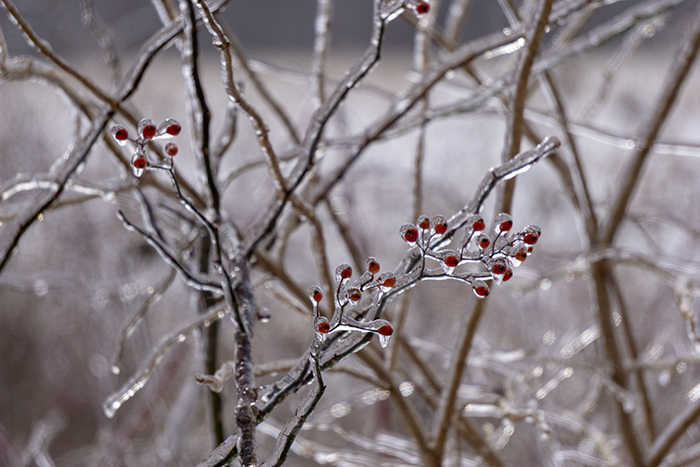 The temperature dropped below zero after the ice storm, and a morning braving the blistering cold the next day yielded some images that may have made it all worth it. 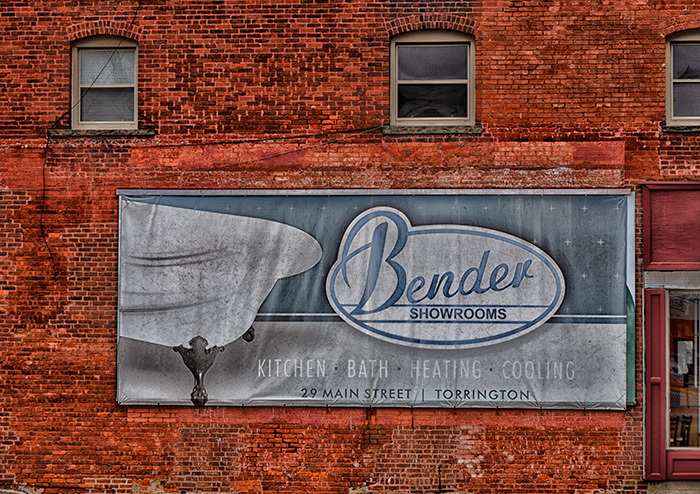 The Bender Showrooms are still here in Torrington, but now the corner of the building is a Subway sandwich shop. The painted sign remains, though — a reminder of a more quaint downtown. Thus I add this image to my Signs of the Times essay. Like my “Pepsi Wall,” in Danbury, it stands out as a relic of a simpler time. The sun was breaking through over the treeline, but I needed to wait for the clouds to move in a bit so I could shoot the curve of the hills and the dramatic sky with the sun just peaking through. 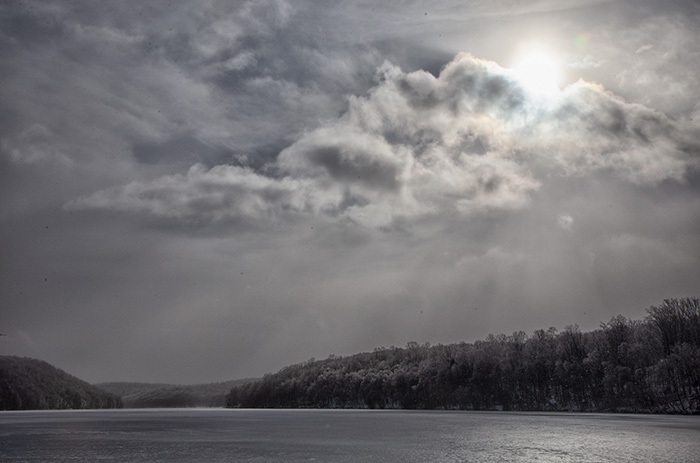 Lake Lillinonah rarely disappoints, no matter the season. 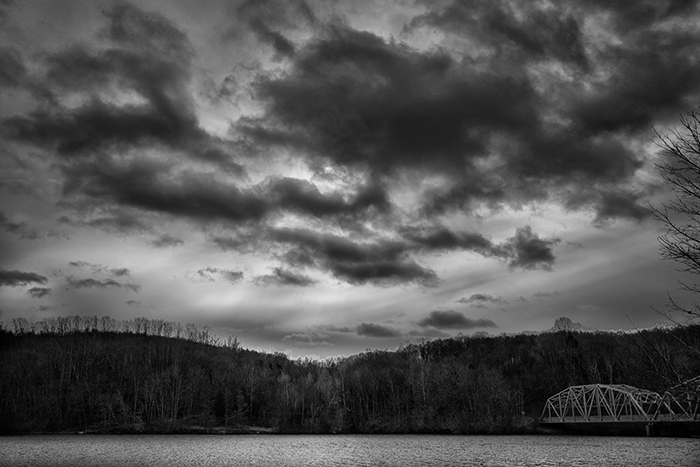 The moving sky, the glimpse of the bridge and the sparkle on the water gave me the moment I was looking for. A sudden gust of snow and a brief glow of light on the horizon caused me to stop. So changeable is the weather and the light in this New England state, we could stay in one spot forever and never extract all the possibilities. 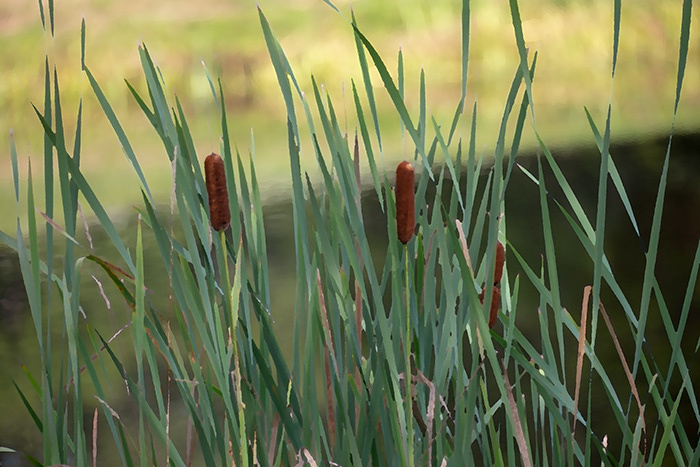 Cattails by the pond will surely take us into August.